Peanut butter and jelly. Pen and paper. Probiotics and prebiotics. In any iconic duo, each individual is a power player on their own, but paired together they become unstoppable. The same goes for our gut health. The health of the trillions of bugs in our gut (which outnumber your cells 10 to 1) is one of the biggest things that impacts our wellbeing. We have to learn how to tend the flora of our internal gardens (our gut) by being selective about what we eat and how we live. We must feed the good bugs and avoid gut-busting habits – like eating too much sugar and starch, or consuming too much alcohol, or allowing stress to wreak havoc (yes, your gut bacteria are eavesdropping on your thoughts). Basically, the microbial ecosystem in the gut has to be healthy for you to be healthy. When your gut bacteria are out of balance, it makes you sick. Among all that gut bacteria, there are good guys, bad guys, and VERY bad guys. When you have too many bad guys, and not enough good guys, this becomes a problem. This is why supplementing with probiotics and prebiotics is so very important. Probiotics provide beneficial bacteria that colonize the GI tract with optimal amounts and types of bacteria to protect against inflammation and support immunity and healthy digestive function. In cases where someone is dealing with yeast overgrowth or a histamine intolerance and who wants to avoid fermented foods, a probiotic supplement might be the best choice. I typically prefer pills or powder form because this is the easiest and most effective way to introduce probiotics. One particular product that I like is VSL#3 – a super high potency probiotic. Each dose contains 450 billion live beneficial bacteria. Start slowly on this and build up. Another way to get probiotics naturally is to eat fermented foods. If you can tolerate them, probiotic-rich foods like kimchi, kombucha, miso or sauerkraut can be very beneficial. Sometimes, you can also eat whole fat, organic or grass-fed yogurt, if you are not allergic to dairy. Try unsweetened sheep’s milk or goat’s milk yogurt. These foods can help your gut flora get and stay healthy. To tend your inner garden, you might need to do some weeding, seeding and feeding – a process that Functional Medicine doctors follow: first you weed to get rid of the bad bugs using herbs or medications; then you seed the gut lining with good bugs; and then you feed the good bugs with prebiotic foods and fibers to keep everything healthy. Prebiotics are a form of soluble fiber that helps feed the good bugs in your gut. When you consume prebiotics, the fiber goes through the small intestine undigested, and then are fermented when they reach the large colon. This fermentation feeds the good bugs. Getting enough prebiotics and fiber in your diet can lead to a variety of benefits including improved digestion, weight loss, reduction in inflammation, and much much more. You might be wondering where you can get prebiotics. Well, the best source comes from what you eat. Prebiotics include foods like onions, garlic, sweet potatoes, dandelion greens, jicama and resistant starch. Be sure to include these natural gut health supporters as much as possible. Eat whole foods. Your diet should be rich in nuts, seeds, whole grains, beans (if you can tolerate them), fruits and vegetables, all of which feed good bugs. Some of you may not tolerate beans and grains if you have bad bacterial overgrowth. Take probiotics daily. This is not only beneficial for obvious gut dysfunction but also have been shown to help with depression, skin issues, autoimmune conditions and more. Incorporate prebiotics. Prebiotics are a form of soluble fiber that help feed the good bugs in your gut. Prebiotics include foods like onions, garlic, resistant starch, sweet potatoes, dandelion greens and jicama. So eat plenty of these beneficial prebiotics. Consider specialized testing. Such as organic acid, stool, gluten sensitivity and food allergy testing if the above strategies don’t help you get to the bottom of your gut dysfunction. You might have to work with a Functional Medicine practitioner to effectively test and treat imbalances in your gut. Share the post "Here’s Why Prebiotics are Just As Important as Probiotics"
Thanks for sharing this! I have always been so surprised about how popular probiotics are but how little people now about prebiotics. In fact, a year ago I also did not know about the importance of them before taking a nutrition course. 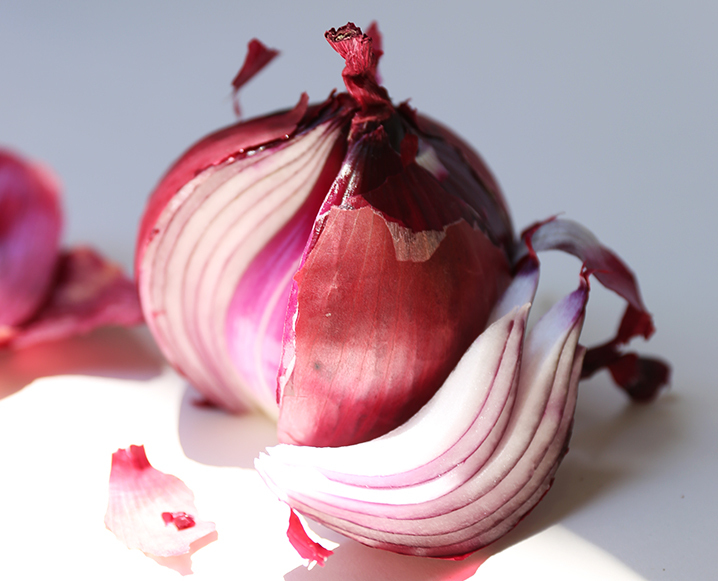 When it comes to prebiotics, I love garlic & onion but I noticed its quite harsh on my stomach sometimes. Wonder if once cooked they still have the same effect?